Shirley gives Phil until 5pm to pay up. Phil tries to placate Shirley with £1,000 but she demands more. Carl calls at R&R and goads Phil. Irked, Phil makes a phone call, resuming his illicit car dealings, and tells the buyer the price of the car has now doubled to £10,000. Meanwhile, Shirley confides to Jean that Phil's been paying her rent. Jean suggests Phil's just trying to make things up to Shirley Phil presents Shirley with £2,000, flatly refusing to give her any more. Shirley takes the cash but claims it's merely a down payment. Phil strides from the B&B, ordering a smirking Carl out of his way. Abi resigns herself to not going to University but won't tell Max the truth. Max learns of Abi's grades from Kirsty and insists she's not going on holiday. Lauren intervenes and reveals she's been researching and, by doing a different degree first, Abi can still become a vet. Lola's delighted when Trish Barnes reduces her social visits to monthly sessions and hints soon she won't need to see Lola at all. When Cindy makes a snide comment about teen mums, Lola refuses to go on holiday and leave Lexi. After Sam has a word, Billy convinces Lola to go, reassuring her that all mums need a break now and again. Dexter's holiday plans are scuppered when Phil demands he make a car delivery to the New Forest instead and Lola pulls out. Although Dexter resists Sam's attempts at fatherly advice, Sam locates a new caravan site close to the car drop off and offers to compensate them for their lost deposit on their first campsite booking. Dexter convinces Phil to let Jay come on the delivery while Sam works on Billy to persuade Lola to go. With the holiday back on track, Dexter's forced to admit that Sam isn't so bad after all. 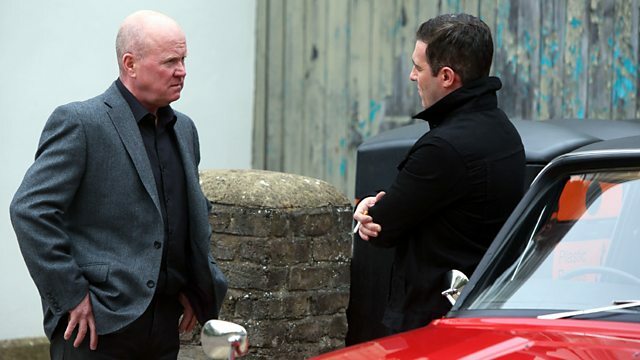 Max refuses to sell Carl a car, frustrating Kirsty. Phil gives Max one week to sell the cars he supplied to the car lot. After yet another failed sales pitch, Carl drives past Max in a new car, sneering "2 weeks and counting".